Just yards from the boardwalk, in Wildwood, NJ, a ’34 Ford hot rod and what looks like a cast iron bath tub with wheels and an engine line up, pointing down the beach. 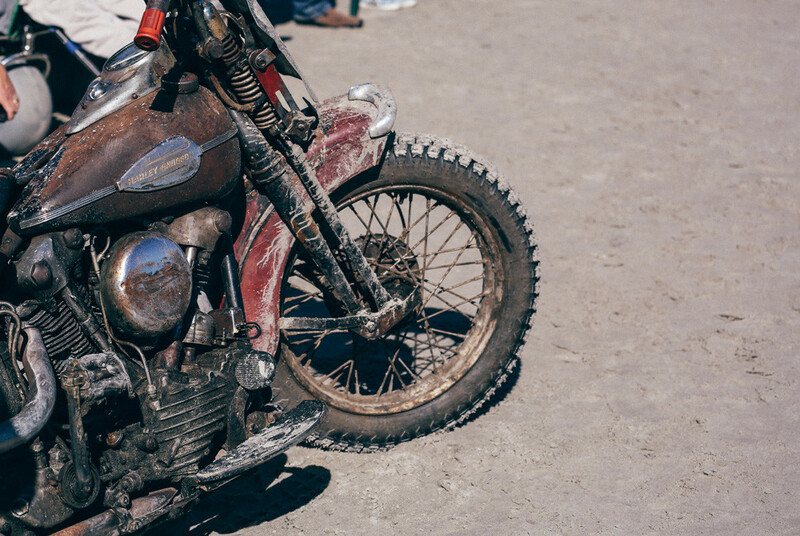 An announcer perched up in a lifeguard tower introduces each racer over the loudspeaker, then hands the attention over to the flag girl — a pretty blonde in white cut-off Harley-Davidson Service overalls, standing barefoot in the sand between the two rumbling cars. Revs peak, the flag drops, sand flies, and the cars tear down the 1/8-mile seaside drag strip. This is the Race of Gentlemen. 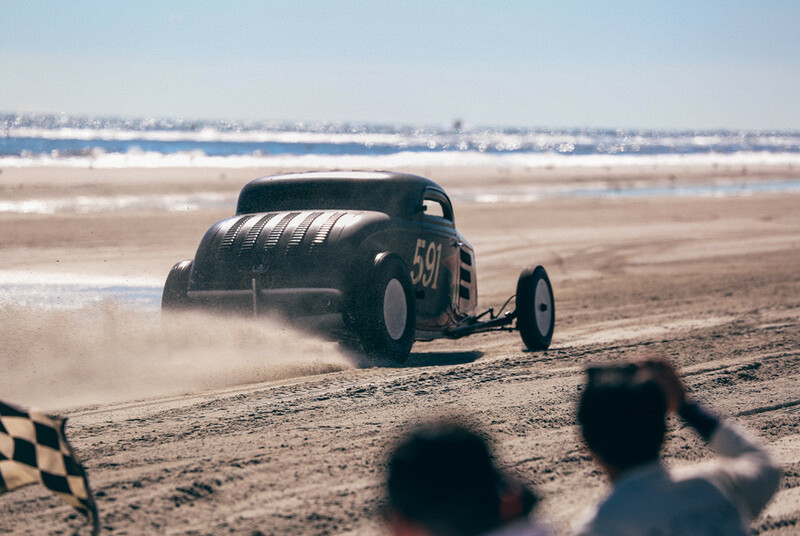 It’s only the fourth year the Race of Gentlemen has run, but it’s already a timeless festival. Hot rodders and fans of pre-war muscle gather in Wildwood to watch head-to-head racing on the beach. The only set rules are that cars and motorcycles taking part in the race must be no newer than ’39 and ’47, respectively. There’s a bracket etched on a chalkboard under the announcer’s stand. It’s loosely followed. One guy pulls up to the starting line, shirtless, smoking a cigarette, and most of the helmets racers are using predate the DOT by a few decades. Win? You get bragging rights. Lose? Line up again and keep racing until you don’t.